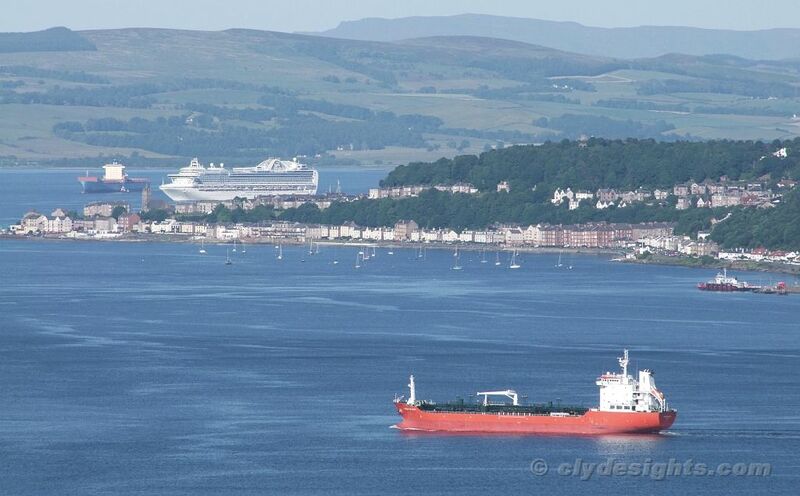 As CROWN PRINCESS passes MAERSK BEAUMONT at the Tail of the Bank, the tanker MARIDA MELISSA heads past Dunoon on her way towards Finnart. 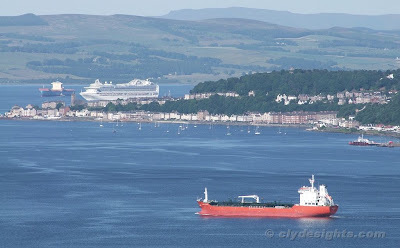 She arrived at Brodick Bay from Plymouth in the early hours of Wednesday morning, and anchored while awaiting a berth at the Ineos terminal in Loch Long. Her passage upfirth had been a slow one, as she was waiting for another vessel to depart before she herself could start to load. Her cargo was for Copenhagen.